Easter brings images of bunnies, jelly beans, crosses and spring to mind! Most families do the traditional Easter basket, egg hunt and church routine, but this Easter shake things up a bit by thinking outside of the box and incorporating a few more meaningful activities into your Easter traditions. Natural egg dyes – Did you know that you can dye your eggs without chemicals? Annie’s Eats provides a list of different colors that you can easily create at home by using food to provide the color. You can find recipes for grey-blue, blue, yellow, pink and lavender. Egg dying techniques – Why not make egg dying an artistic process? Spoonful has various techniques to use for your egg dying experience, including using tin foil, string, bubble wrap, thumbprints and tissue paper. Easter egg hunts – Egg hunts are a traditional Easter activity for most Christian families. A lot of towns or churches will host an egg hunt, but if they don’t you should consider arranging one for your neighborhood or family! You can use real eggs (make sure they are hard-boiled first!) 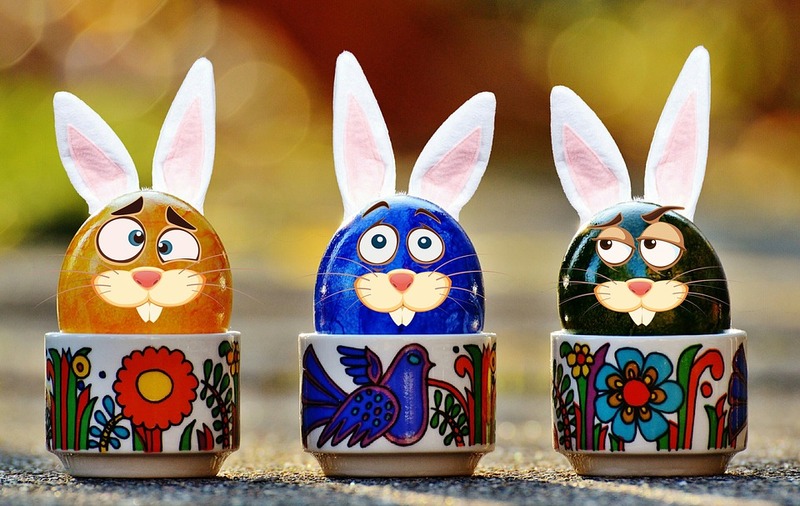 or use plastic eggs filled with various items, such as money, candy or other small trinkets. Tissue paper egg art – Egg art is an easy way to decorate your house for Easter. This simple project requires some poster board, tissue paper, a pencil and a bit of glue. Have your child cut out an egg shape from poster board, draw a design on the egg with pencil, and then, using small squares of tissue paper, the eraser end of the pencil and a bit of glue, fill in the spaces with the tissue paper to create your Easter egg! Stained glass crosses – You can easily create a stained glass cross to hang in your window with your child using tissue paper and clear contact paper. Cut the tissue paper into small shapes (have your child help, if it’s age appropriate) and cut out a sheet of contact paper. Draw a cross on the non-sticky side of the contact paper, remove the paper, and have your child fill in the cross with the tissue paper shapes. Once they are done, place another sheet of contact paper over the tissue paper and then cut inside the lines of the cross you drew on the first sheet of contact paper. Hang your creation in the window for the entire family to enjoy! The jelly bean story – The jelly bean story is a great way to represent what Jesus gave his people and why Easter is celebrated. There is a short story to print out to go along with the project and each jelly bean color represents different things, such as the sun, grace or sorrow. Envelope bunnies – Envelope bunnies are a great way to welcome guests to your home during the Easter season. Have your children help create them and then fill them with treats! Egg chickens – Egg chickens are a cute way to spruce up a hard-boiled egg for a centerpiece at your table! You can create other animals too, so let your imaginations go wild! Egg relay races – If you live in a climate that makes it possible to head outside on Easter day, consider doing some active outdoor activities with the kids. Who doesn’t love an egg relay race? You can place the eggs (hard-boiled!) on spoons and run with them (if they fall, you have to stop and pick it up). You can also pass off the egg to each other or pass the eggs down the line using only your elbows! The possibilities are endless, and the entire family can get involved! Egg bocce ball – Use your leftover hard-boiled eggs to play a game of egg bocce ball. You’ll need one white egg (the pallino) and each player will need two of the same colors of eggs to play. Roll the pallino in the grass and have players take turns trying to roll their eggs as close to the pallino as possible. The closest egg wins! A full-blown Easter egg hunt guided by the Easter Bunny himself? Surely there could be nothing more adorable. The kids will love waking up on Easter morning to find that the Easter Bunny has left them a personalized note and a few bunny tracks pointing them in the direction of the hidden eggs. These cute printables make setting up the bunny track hunt a breeze. For very young children, this is as cute as it comes. If they’re too little to hunt well in the yard, you can make your own Easter egg garden that “grows” plastic eggs instead. Placing candy-filled Easter egg flowers in the grass or sand will make it easy for even the littlest ones to find their treats. If you live in a part of the country where spring hasn’t sprung yet, all hope is not lost. You can turn a cold or rainy Easter day into an adventure when you tell your kids that they’re going to hunt for all their eggs and Easter trinkets inside the house. To make the indoor egg hunt even more unique, try hiding the eggs in a trail or with clues leading to one giant Easter basket. Little mateys at that pirate-loving age will get a kick out of this specialized Easter egg hunt. When kids know there is “buried treasure” involved — like a one-of-a-kind golden egg left behind by the Easter Bunny — they’re likely to take the hunt a little more seriously. Bonus points for putting some booty (read: money) inside or attached to the golden egg. Learning can be fun, right? For younger kids who are just learning to spell and read, they’ll enjoy hunting for Easter eggs that each contain a letter to spell out a hidden message. Kids can work together to find the letter-filled eggs and put together the Easter message (“Some bunny loves you,” for example) to earn their Easter prize. This is a great one for a larger group, since kids will need to be broken up into teams. Teams of three or four can hunt to find as many mismatched eggs as they can (where the wrong-colored halves of plastic eggs have been put together). Once the eggs have been found, teams can take apart and reassemble the right-colored halves of the eggs. The first team to “unscramble” their mismatched eggs gets a big, ol’ Easter basket filled with candy. For any kid who loves to pull a fast one on their parents, they’ll be thrilled to be put in charge of the Easter egg hunt for the day. Ask your kids to hide a basket of candy-filled eggs around the yard and watch as you try your best to find them. Any eggs that aren’t found within a certain time limit — say, 10 minutes — the kids get to keep and eat. This one’s for elementary school and older kids who are looking for a little challenge: Make over your traditional Easter egg hunt using a scavenger hunt checklist. You can task kids with finding a variety of different objects hidden around the yard (like four blue eggs, six yellow eggs, two chocolate eggs and a chocolate Easter bunny) before time is up. Kids have a lot of energy to burn — we know this much is true. So, if your kiddos have been begging for Easter candy all day long, why not make them work for it? Hide sports-themed Easter eggs that contain an exercise instruction along with a candy treat. Kids will have to do 10 jumping jacks, run a lap around the yard or jog in place before they can move on to the candy in the next egg. This one might require a little patience, but it is so worth the wait. If you can get your kids to hold off on their Easter candy extravaganza for most of the day, then the reward will be even sweeter — an Easter egg hunt to find glow-in-the-dark eggs is perfect for older kids looking for a thrill. Or how about you forgo the logistics of an egg hunt altogether and just hit some stuff with a stick? Buying an adorable Easter egg piñata — or making your own — is ideal for smaller kids who may not understand how to hunt for eggs yet, as well as older kids who just want to do something different this year. To make things even more interesting, try your hand at mini piñatas so you can make a special candy-filled creation for each kid (to destroy).Over 9 million people have enjoyed Bellyitch's Award-winning Celeb "bumpwatch" pregnancy and parenting blog. Trying to Conceive? 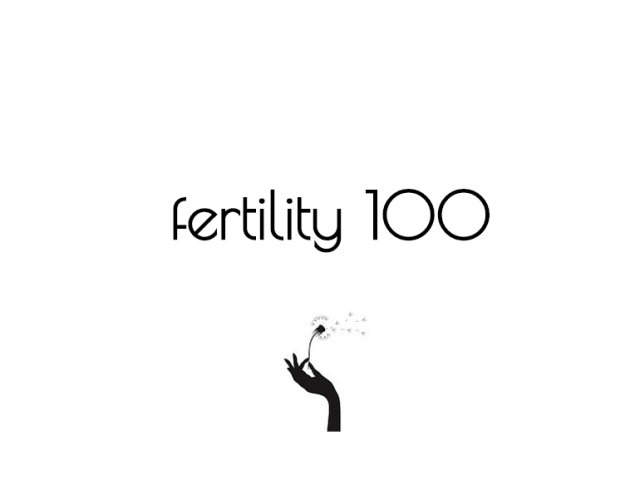 Download our FREE Fertility 100 ebook. 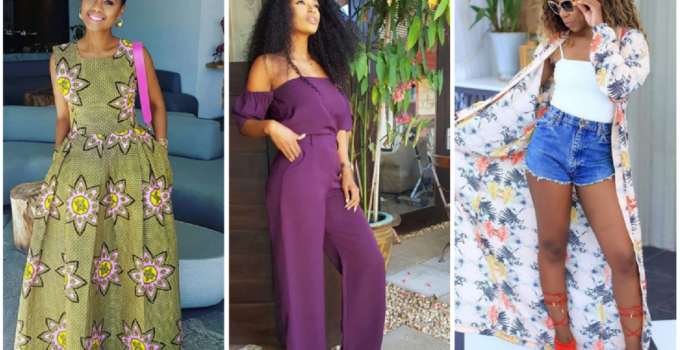 Hunting for Top Maternity or Kids Brands? Our Bellyitch 100 is the free resource for you. Baby Shower Shopping? Check out out Top Picks on Amazon or our Gift Guides. Or how about you forgo the logistics of an egg hunt altogether and just hit some stuff with a stick? Buying an adorable Easter egg piñata — or making your own — is ideal for smaller kids who may not understand how to hunt for eggs yet, as well as older kids who just want to do something different this year. To make things even more interesting, try your hand at mini piñatas so you can make a special candy-filled creation for each kid (to destroy). Easter is around the corner. For many families, that also means it’s time to start hunting down that perfect Easter dress or suit. Dressing in Sunday’s best for church service is customary. And even for non-religious families, dressing up for Easter Egg Hunts or photos with the Easter Bunny at the mall present a good opportunity to have and excuse to buy digs for the kids. Girls usually wear headbands, white tights, patent leather Mary Janes and floral dresses with pastel sweater. Easter is also a great time for a little girl to wear her first string of pearls (authentic or faux) and other nice jewelry from Baptism, Christening, Christmas that parents just store away for special occasions. And of course, their pretty dresses. Boys are outfitted in smart suits with vest jackets. Another option to a formal suit is a nice dress shirt in Spring colors, pastels or plaid or another nice print. Or, even more casual, a little boy could wear a colorful polo shirt and khaki shorts or plants. Our friends and partners at Gymboree are having a 50% off Sale for Spring and Easter dress shopping. Checklist Easter Egg Hunt – For large Easter Egg Hunts, you could make checklists for each child. Give each child a basket with a checklist and pencil in it, and instruct the kids to find ONLY what is on their checklist and no more (otherwise someone else would not get enough). Make the checklists the same for each child and make sure you have enough eggs hidden so that everyone can complete theirs. You can have a grand prize too, for whichever child completes his checklist first! The checklists could read something like this. Obstacle Hunt This is a good choice if you are having the Easter egg hunt outdoors in a big backyard or at a park. Just like in an obstacle course race, you could have various activities interspersed with egg collecting. For example, at the starting buzzer the kids race to the next spot where they have to thread a needle and only when they complete it can they run ahead to the next spot (collecting all the eggs along the way of course). Some other Easter party activities could be jumping over a cardboard box , going around a chair five times, blowing up a balloon, drinking a glass of water, eating a boiled egg and so on. The first child to reach the finish line wins a prize. Printable Egg Hunt, Don’t have any plastic easter eggs?, Or looking for a different and easy way to have an, Easter egg hunt? Print out an egg game online game, cut out the eggs and hide them around your house., The kids will even have a great time helping to cut out the eggs. Puzzle Treasure Easter Egg Hunt For this hunt you would need a puzzle (not more than 25 pieces , with each individual piece small enough to fit inside an egg). Here are the steps: First put the puzzle together. Then flip it over and write a clue across the back pointing to the treasure. Take the puzzle apart and put one or two pieces in each egg. Then hide the eggs for the hunt. The children will have to find all of the eggs and put the puzzle together in order to figure out where the “treasure” is. For more details on this and other Easter Egg hunt ideas visit creativekidsathome.com. Pirate Hunt –Create a map that represents the floor plan of the house (if it’s indoors). You can even modify it to look like an island. Then mark the positions of eggs on the map. Stairs can be represented by a cliff, etc. Inside of the eggs, write clues that when put together will lead the kids to a “pirate treasure”. Hunt in the Dark – You could also combine the Pirate Hunt above with a hunt in the dark for added effect, which the older kids are bound to enjoy. Give the kids each a flashlight and have them hunt for eggs in the dark. To make it even more fun, you can paint the eggs with glow-in-the-dark paint and search for them with no light at all. 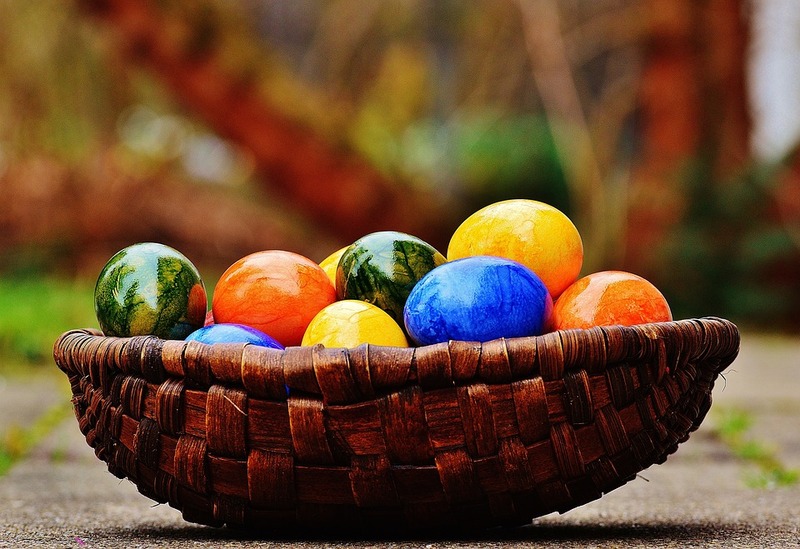 Easter Egg Hunt with a message – Have a regular egg hunt, but in 12 plastic eggs put a number and a scripture telling a part of the Easter Story. Then when the kids find the eggs and are sitting all together, call out the numbers one by one and have each person read their scripture. You can have the kids tell the story of Easter.